This light pink template is perfect for a beauty salon or spa center. 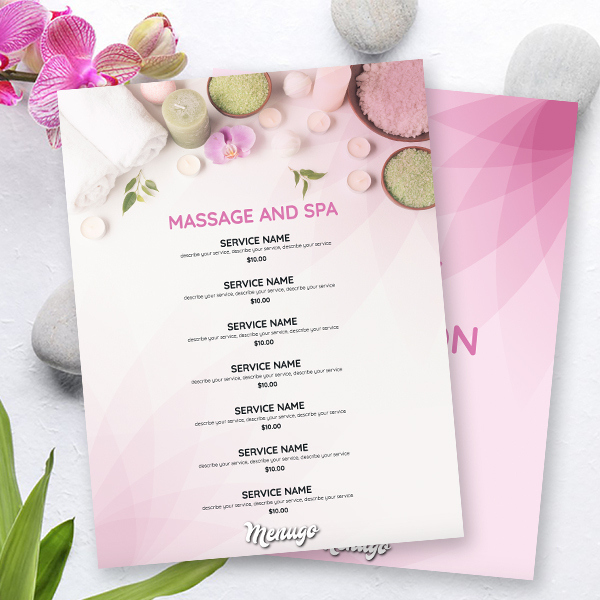 Actually, this menu template was made for day spas, salons, resorts in a gentle design to represent your services. Just put your logo on the cover page and fill the template.